Repurposing your content is one of the best things you can do to further your reach. 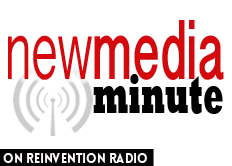 For example, Reinvention Radio is a two-hour live radio show that is then repurposed into six different podcast episodes. An event like New Media Summit is a perfect opportunity to come out from behind the scenes and be present in front of the influencers. It’s important to develop and nurture those kinds of relationships. What is your single best piece of advice for meeting influencers you want to meet?